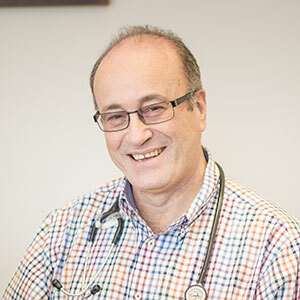 Dr Harry Zehnwirth has been practising Paediatrics for over 30 years, and during the last decade has taken a special interest in childhood and adult allergies. Harry has always loved every aspect of his work. He has cherished developing rapid rapport with parents and children and having fun and humour in a consult. Through amusement and magic that comes early and is dotted throughout the session, learning a lot about the child and parent takes place, without necessarily asking clinical questions. Outside work, Harry still loves children…with Alison they have four. He has always enjoyed having fun with them all. Whilst they still squeeze in a game or two of backyard footy, they are all growd-up now. Harry’s new grandchild Jack brings the entire family much joy! Harry has trekked to the Base Camp of Mount Everest, enjoys charting the share market, talking, walking and watching moving movies. Kymble is a specialist allergist and immunologist. He originally grew up in Gippsland, east of Melbourne. After graduating from Medical School at the University of Melbourne, he commenced specialist training in London. There he completed his MRCP and Diploma of Tropical Medicine and Hygiene. 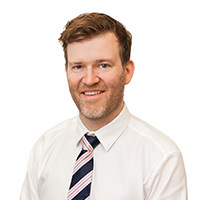 After working as an international repatriation physician whilst studying, he returned to Australia and completed his sub-specialisation in Immunology and Allergy. He has a particular interesting in food allergy, as will as allergic rhinitis, stinging insect allergy, and immunotherapy. He also works at the Royal Melbourne Hospital, and in his private allergy clinic in Melbourne. Dr Naghmeh Radhakrishna is a Respiratory and Sleep Physician who graduated from Adelaide University and went on to work in the largest tertiary and quaternary centers in Melbourne including The Alfred Hospital, Monash Medical Center, St Vincent's Hospital, and The Austin Health. She undertook a fellowship in Asthma and Allergy at the Alfred Hospital, where she went on to help establish the Difficult Asthma Clinic. This multidisciplinary team approach uses questionnaires to systematically assess and manage complex asthma patients. Her link with the Alfred Health, which remains one of the largest allergy centers in Australia, has allowed her to be involved in the ongoing trials for biological agents for severe asthma whilst continuing her work in allergy, sleep and general respiratory medicine. 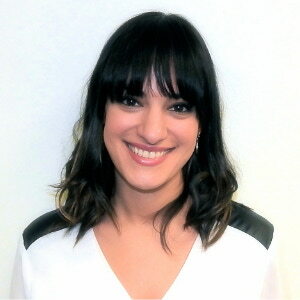 Naghmeh is currently the President of the Victorian Thoracic Society of Australia and New Zealand (TSANZ). 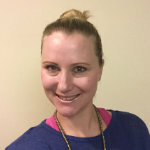 She has previously sat on the National TSANZ Specialty Training Committee for advanced trainees and was involved in the training events for advanced trainees over a number of years. She was also a council member for the Australian Medical Association where she represented the Thoracic Society. She is a member of the Australian Society of Clinical Immunology and Allergy (ASCIA). She speaks English, French, Farsi, Hindi, and Creole given her extensive travel history and multi-cultural background. She is a keen tennis player and enjoys time with friends and family. 'Knowledge is power' is her inspiring motto that drives her passion about educating her trainees, students and patients. Mandy has cared for children all of her professional life, first as a Paediatric Nurse and Midwife at the Royal Children’s Hospital and Ballarat Base Hospital, and then as a School Nurse at Ballarat Grammar. 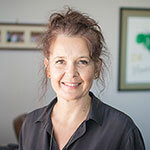 For the past 4 years she has practised as an Allergy Nurse after completing her Professional Certificate in Allergy Nursing through the University of South Australia. Born and raised in Ballarat, Mandy and her husband Nick have 3 lovely daughters – two of which have flown the coop and one 10 year old who they are holding on to! Louise has a special interest in Allergy and Immunotherapy and has been a Registered Nurse for 15years. Prior to deciding on a “Tree Change” from the big smoke she worked at Royal Children’s Hospital for 9 years in a variety of roles, with the Allergy Clinic being her most recent role she held for 4 years. Louise was born and bred in New Zealand but now concedes that after marrying an Aussie and having two beautiful children she now calls Australia home. Chantal has worked at the Royal Children's Hospital for the last 5 years in both emergency and medical areas. 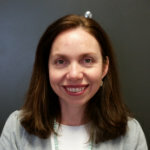 She is particularly interested in Allergy and Immunotherapy and has experience educating patients in the areas of Eczema, Anaphylaxis and Asthma management. Rowena is a Registered Nurse of 17 years, and has had a lot of experience working in the Metropolitan and Ballarat region. Rowena has gained lot of experience in the acute care setting, and is now branching out into the world of Allergies.